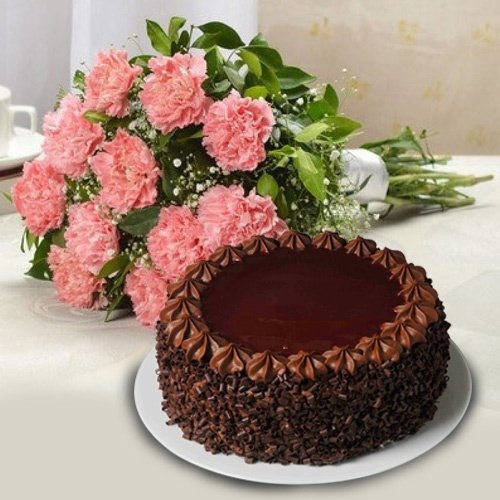 Deliver this alluring Mothers Day gift of Beautiful Carnations and Cake for Mom to acknowledge the love you have got from your mother. This gift contains 12 Carnations with 1/2 Kg. Chocolate Cake.